Archroma and Montega S.r.l., Italy, (Montega) announce a collaboration aimed at supporting the fast-growing garment and apparel industry in Pakistan, particularly in the denim segment. The joint efforts will focus on fostering excellence in the finishing of textile garments. Montega has decades of rich experience in developing the latest fashion trends with its high standard chemical treatments. For garments and fabrics, they offer solutions in finishing effects, enzymatic products, bio-polishing, bio-finishing and specialty products for indigo dyes, proteinaceous fibers such as wool and silk, and garment washing and/ laundry. All applications are geared toward environmental sustainability. 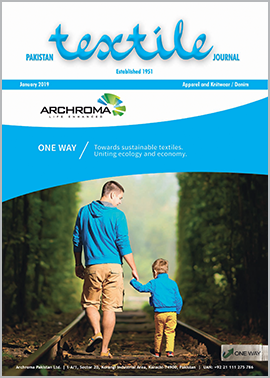 Archroma offers a wide range of brand and textile specialty chemicals that caters to the local industry in Pakistan for both its internal and export markets. The company’s expert team provides innovative solutions to its customers, tailored to their individual requirements. Archroma will now represent Montega in marketing their products in Pakistan. The collaboration between the two firms will provide a unique synergy of combined expertise, reliability and commitment to environmental sustainability, especially toward the reduction of water usage and the emission of greenhouse gases during textile finishing processes. The design studio at the Archroma Center of Excellence in Pakistan will work extensively with Montega’s M-Lab Garment University in Riccione, Italy, to deliver solutions based on the latest trends and fashion effects, backed by world-class technical support.